Video conferencing is fundamentally changing the way that people communicate. With this change comes challenges that need to be anticipated and overcome in order to maximize the effectiveness of this popular communication channel. Video conferencing is a medium that can help build relationships faster and make meetings more engaging. But when your body language doesn’t align with the intended message, it can result in confusion and mistrust. 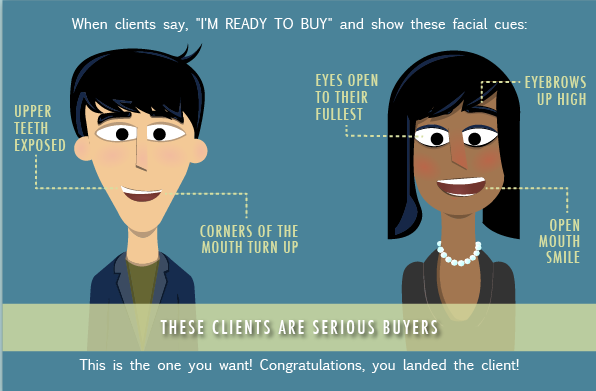 According to research from the University of Pennsylvania, just 7% of what makes an impression is verbal. The remaining 93% consists of body language, such as movements, postures, and tone of voice. The majority of the problems can be attributed to level of eye contact frequency and intensity, facial expressions, and misleading body posture. Refining and training your body to mimic your verbal message can definitely make your next video conference more successful. One element of successful video conference body language is controlling your facial features to avoid conveying unintended messages. Learning how to do so, however, can be a bit of a challenge. The perfect facial expressions for coming across as positive on a video conference would include a moderate smile with slightly raised eyebrows. By slightly raising the eyebrows, it will widen your eyes and you will come across as less aggressive and more susceptible to receiving a message. The kind of body language you want to see. Click for more info. Again, there must be a balance between being too exaggerated with any facial expression. Smiling can come across as positive, but smiling too much can be interpreted as insincere and condescending. The best advice would be to concentrate on what you’re projecting, and if confusion or dislike arises, do your best to be diplomatic and mask what you’re feeling. Another aspect that should be taken into consideration when conducting a video conference is what message the rest of your body language is saying to your viewer. There are plenty of positive body language examples that complement the message you’re trying to send. It’s important to mirror the body language of your viewer as well, as it tends to put them more at ease and more relaxed. To appear to be more attentive through body language—even if you’re bored out of your skull—you should lean your shoulders slightly toward the camera. It’s important to sit up taller in your chair, as it appears better on camera, you look more impressive with your gained height, and it helps to project your voice within your meeting. 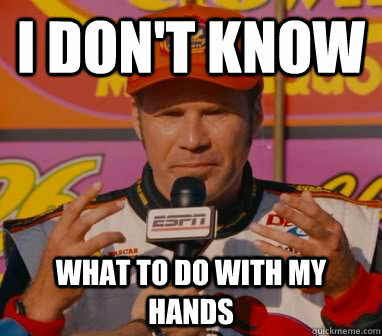 If you’re unsure about what to do with your hands, there are several positions that may benefit you. If you wish to appear confident, hands look best in front of your stomach or on the desk in front of you with the fingertips touching or interlocked. The consequence of having poor body language is that you could confuse your viewer(s) about the sincerity of your message. According to a Harvard study, the most impactful negative body language includes an overly stiff upper body. This typically causes distrust in the viewer, as it appears that the subject is untruthful. Other examples of poor body language include the crossing of your arms across your chest. This creates the impression that you are defensive, tired, cold, or uncomfortable. This isn’t the message that you want to convey to your viewer in your video conference now, is it? Potentially the most crucial body language tip is to begin the conference with the perfect amount of eye contact. Eye contact is a vital component in creating a lasting impression everyone participating in the video conference. Your eyes are one of the leading contributors to positive communication and, alternatively, miscommunication. Due to this, there tends to be a fine line between what your eyes are doing to invoke a positive or negative response. According to Forbes, businesspeople around the world expect you to make eye contact 50-60% of the time. 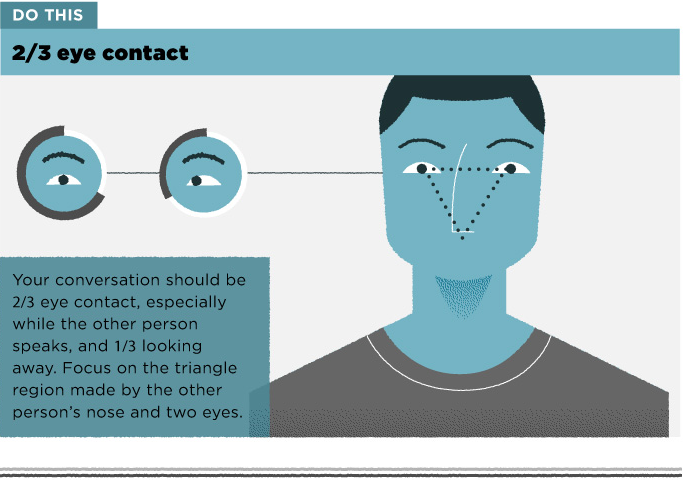 Done right, eye contact can express confidence, interest, and active listening skills. You don’t want to have too much eye contact, either. An overabundance could actually put off your meeting attendee—especially if you rarely blink! Don’t blink too much, though, as excessive blinking could convey that you’re uncomfortable with the conversation, according to Inc. There should be a balance between the power of your gaze, and it should be neither too little nor too much. You always want to keep the feelings of your attendee in mind, as you don’t want to make them feel self-conscious, uncomfortable, threatened, or like you’re bored. The right way to do eye contact. Click for the rest of the infographic! Remember, the words that come out of your mouth have very little impact on the impression that someone will have of you. In reality, it’s your body language that will speak louder and clearer than anything else. 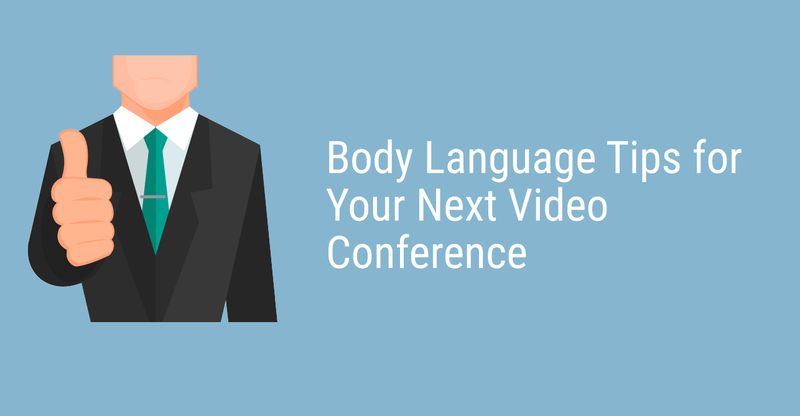 Through consistent eye contact, genuine facial expressions, and good posture, you’re well on your way to being a body language pro and acing your next video conference! Jared heads digital strategy as Pragmatic’s Marketing Manager. With a background in experiential marketing and sports journalism, he’s particularly passionate about the customer journey and aligning sales, marketing, and customer success.